Internet Tablet School has put up a new tutorial on how to connect USB devices to the Nokia web tablets. The tablets put out very little power so it seems flash drives will work as long as they don't have a larget LED on them. Makes me wonder if I took mine apart and unsoldered the LED it would work. USB hard drives will work but they need to be powered by an external source. USB keyboards will work but USB mice won't because the tablet doesn't have a mouse driver. Seems that a module could be compiled and installed like how we handle ext3 filesystems. I think the application for having external storage is great because when I'm on vacation I could backup my photos to an external drive and the uses for a USB keyboard are great. I currently have an iGO bluetooth keyboard (if you look around you can get it for about $40) but I've noticed that if I'm running off battery power the bluetooth drains the n800 very fast. A USB keyboard I presume would lengthen battery life. Although it wouldn't be as compact with the cords etc.. The thing that really comes to my mind is if I have an external storage system, a keyboard and a mouse what I really need now is the ability to edit photos. I'm not talking running the gimp here I just want to do some simple contrast adjustments, sharpening, rotate image, scale, crop etc.. Basically imagemagick stuff but grapically. If I could do this and I could get a local blogging client for Joomla I'd not even bring a laptop on vacation with me. Of course if I have the n800, external drive, keyboard, mouse, external battery and bluetooth headset for Skype I've probably packed about as much as just carrying a 2lb laptop! Anyway the tutorial at Internet Tablet School has a video and text howto both so check it out. I just purchased a Nokia n800 device that runs Linux by default. I'll be adding more content in the future. 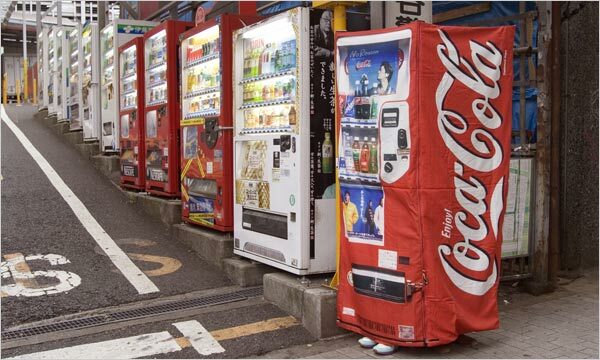 In Japan women are attempting to stop being victims of crime by hiding from their pursuers in plain site. 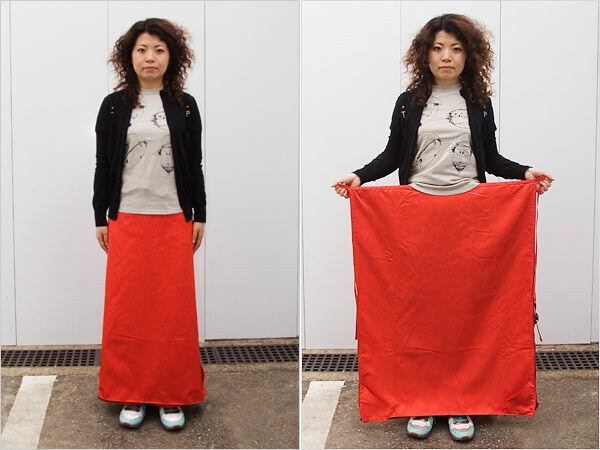 They wear a skirt that turns into a full size cloth vending machine! Hopefully they don't avoid one criminal only to find another breaking into vending machines. Original story at the New York Times . As some of you know I moved this year to a new house. I now have plenty of room in the garage for the servers which means my heating bill will go up now that they won't be contributing. Anyway I'd been using Powerline networking for some time and it's worked wonderfully because you never need drivers for the network. How it works is you plug your network cable into a powerline bridge and then plug the bridge into the electrical wall socket. Do this for each location and you have an instant network! It's completely painless. Only problem is your electrical wiring needs to be perfect and mine to the garage in the new place isn't. My print speeds were so horrible that I was copying data to my laptop and carrying it down there to print. It doesn't take a genius to figure out that isn't the solution. I've always shied away from wireless outside of occasional use on the road because of the security implementations but it appears I have no choice short of rewiring my house. The Buffalo WHR-G125 does not come with Linux installed and from what I saw on the review forums doesn't come with much functionality in the stock firmware either. I honestly didn't even log into the stock firmware or use it in it's stock form. The first time it was ever powered on I nailed it with a tftp upload with new Linux DD-WRT firmware and it's been running Linux ever since. The Buffalo WRT-G125 is a 240 mhz mips processor (Broadcom BCM5354) embedded device with a 5 port switch and uplink. It has 16 megs of ram and with Linux running there's about 14 free. The antennae is fixed but I found one guy solder a connection on so he could connect any external antennae. If you don't know what dd-wrt is you're in for a treat. It's a replacement firmware operating system for many consumer based routers. It gained it's fame on the Linksys WRT-54 series and that's where I came into contact with it. The Linksys WRT-54g was a Linux router and several firmware replacement projects stemmed from it. I started using a paid for replacement called Talisman. The firmware was encoded and I lost the original file once and didn't want to go through the hassle of getting the author to give me another so I decided to look around and see what else was out there. Well, that and there was a lot of controversy about the developer's practice of stealing other people's code and then acting like a copywrite Nazi when anyone else wanted his code. I don't like supporting people like that so I switched to dd-wrt. DD-WRT adds many features to your router like ssh access, QOS, wireless bridging etc.. There really isn't any reason that I can think of for not using it. Ok, so I was going to stay off this topic completely but there are things brewing that I just have to talk about. I played with an iPhone a few weeks ago and outside of the next to worthless text input the phone is really really neat. I think this phone may actually be considered a disruptive product in that it's going to send everyone else back to the drawing boards and a lot of really expensive designs will get scrapped. So you're probably thinking that I ran out and bought one. Well, no actually. I don't really like cell phones but I'd love to have a connected PDA but it looks like the iPhone and the iPod touch may just function very well in this role. I just ran across this quote of possibly this country's smartest founding father - Thomas Jefferson. It concerns copy writes and patents. Interestingly he believed that as soon as you released an idea of your own it belongs to everyone. Much in the way the GPL lays it down.